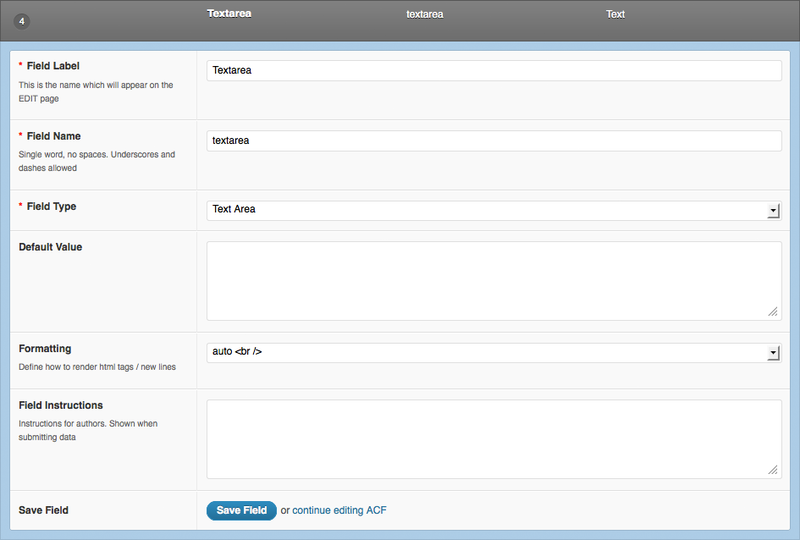 The Textarea field creates a simple textarea. This field is useful to store simple paragraphs of text to use in your theme. Default Value: Set a default value for this field when creating a new post. Formatting: This option will determine how to render the value. Selecting “HTML” will convert any tags in the value to html tags. Selecting “auto <br />” will convert any new lines to html line breaks. Selecting “None” will not convert any tags and you will see any html displayed as normal text. The API will return a string.